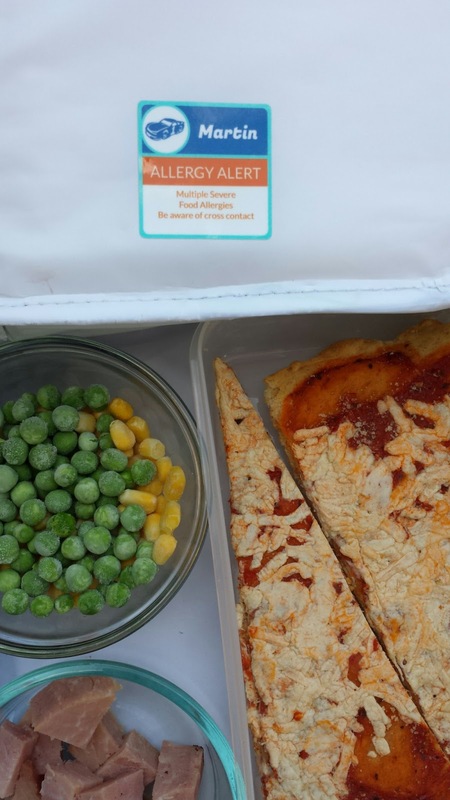 Food Allergy Awareness Month is almost over, but that doesn't mean we can't continue to spread awareness of food allergies and helpful food allergy related products. Name Bubbles is one of those products! 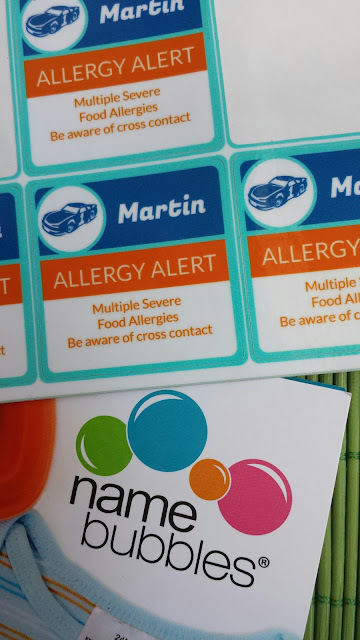 In honor of Food Allergy Awareness Month, Name Bubbles offered to let us try out some of their personalized, waterproof and allergy focused labels. They're also offering a set of 40 allergy labels to one lucky giveaway winner!! Just enter at the end of this post. If you have a child in school or daycare, like I do, you know that you have to label EVERYTHING. In the past, I've used waterproof "write-on" labels for all of Little Guy's lunch containers and lunch box. But I have to say, writing everything on the label got a little tedious. 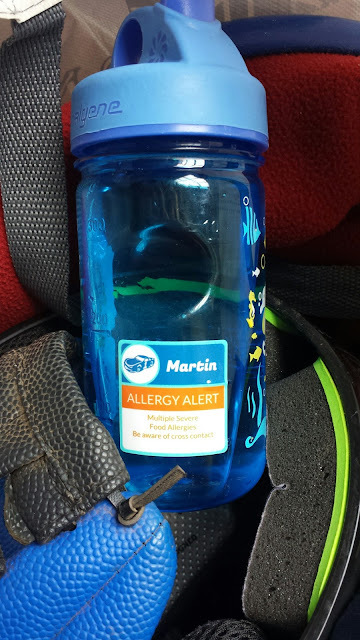 You can easily personalize Name Bubbles labels with any information you'd like. 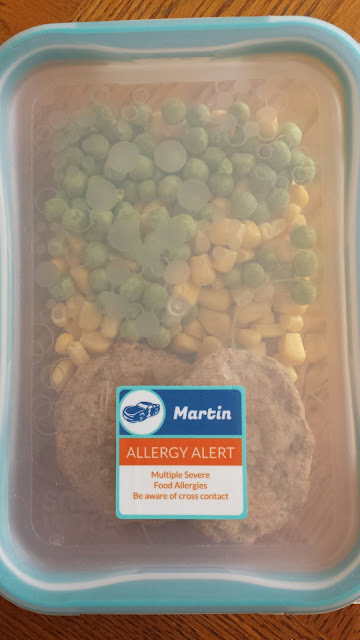 Since little guy has so many allergies, I decided to keep it basic and write "Multiple Severe Food Allergies". 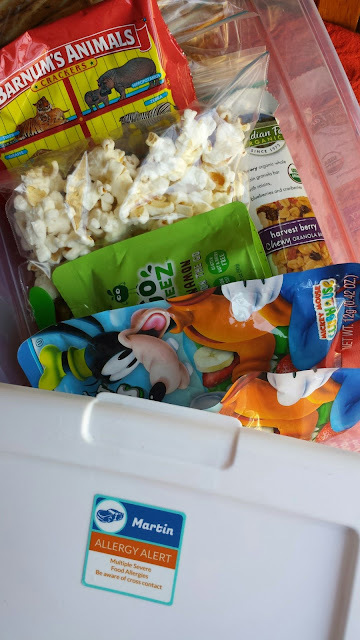 Also, since he's in daycare right now, different people warm up his lunch every day. I want those people to know to be aware of cross contact when they're handling his food. So having his lunch clearly labeled makes me feel a little more at ease. I would suggest getting labels with your child's full name on them. But for the purposes of the blog we listed last name only on this set of labels. ...and his drinks - all ready for Tball! Name Bubbles has partnered with FARE for a second year in a row, as it’s a cause near and dear to CEO & Founder, Michelle Brandriss’ heart. 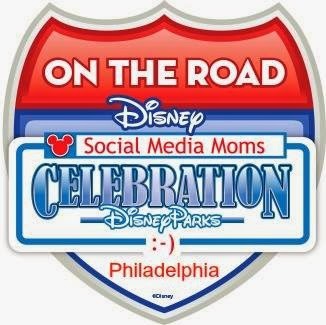 They donate 20% of their allergy product purchases back to FARE all year long, and they are doing a special #FoodAllergyMonth campaign on their social media channels. Name Bubbles kindly offered us personalized labels to review for this post. 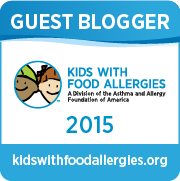 Enter this giveaway now to get 40 of your own personalized allergy labels! These labels are great. I need them to label my child's items for kindergarten.